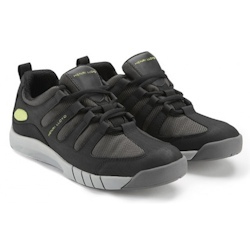 Model Number: 11215 Helly Hansen Men's Ahiga Hydropower Athletic Shoes are breathable, lightweight sailing sneakers for long sessions on deck or a weekend on the coast. 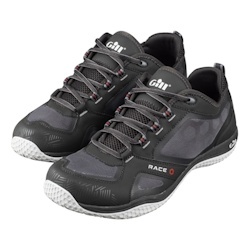 154729 Helly Hansen Men's Ahiga H3 Hydropower Athletic Shoes Helly Hansen 11215 Helly Hansen Men's Ahiga Hydropower Athletic Shoes are breathable, lightweight sailing sneakers for long sessions on deck or a weekend on the coast. 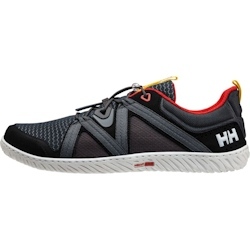 Model Number: Multiple Size Available The Helly Hansen Men's HP Foil F1 Boat Shoe combines the best features of Helly Hansen's Hydropower and Sailpower models into one of their most versatile sailing shoes. 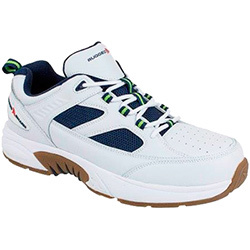 154731 Helly Hansen Men's HP Foil F1 Boat Shoe Helly Hansen Multiple Size Available The Helly Hansen Men's HP Foil F1 Boat Shoe combines the best features of Helly Hansen's Hydropower and Sailpower models into one of their most versatile sailing shoes. 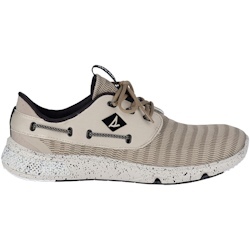 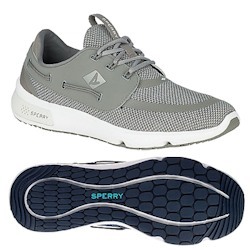 150903 Rugged Shark Men's Marlin 3 Athletic Oxford Sneaker Rugged Shark White The Rugged Shark Men's Marlin 3 Athletic shoe combines the roomy fit of a casual shoe, the lace up support and styling of an athletic, all with mesh quarter panels for maximum breathability. 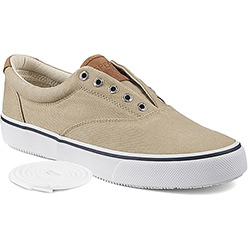 Model Number: 1048065 Sperry Men's Striper LL CVO Sneaker provide a stylish, no-slip grip for every possible marine adventure. 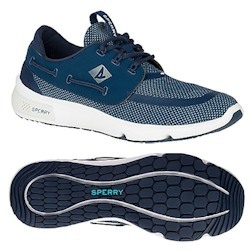 150777 Sperry Men's Striper LL CVO Sneaker Sperry 1048065 Sperry Men's Striper LL CVO Sneaker provide a stylish, no-slip grip for every possible marine adventure.